mario. . HD Wallpaper and background images in the নিন্টেডো club tagged: nintendo. This নিন্টেডো photo might contain নকল মানুষের, কমিক বই, কমিকস, and কার্টুন. That's very cool. Provide some image credit and I'll rate it 5 stars. 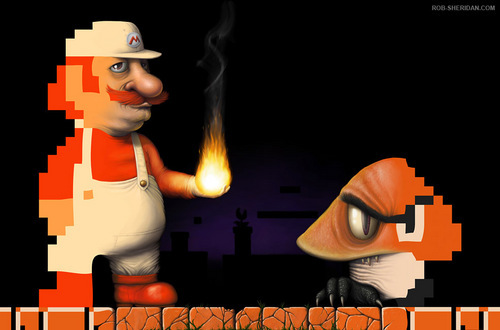 Those would be cool graphics for a Mario game!